Fenugreek is a herb whose leaves and seeds have been used since millennia. Fenugreek, commonly referred as ‘Methi’ in Hindi, ‘Menthulu‘ in Telugu, ‘Vendhayam‘ in Tamil, ‘Uluva‘ in Malayalam, ‘Menthe‘ in Kannada, ‘Meth‘ in Punjabi, ‘Methi Dane‘ in Marathi and ‘Methi‘ in Bengali, has made a permanent place for itself in many households. Traditionally, fenugreek seeds have been used as a condiment to promote better health and as a potent hair potion. But recent research indicates that they can do much more than that. 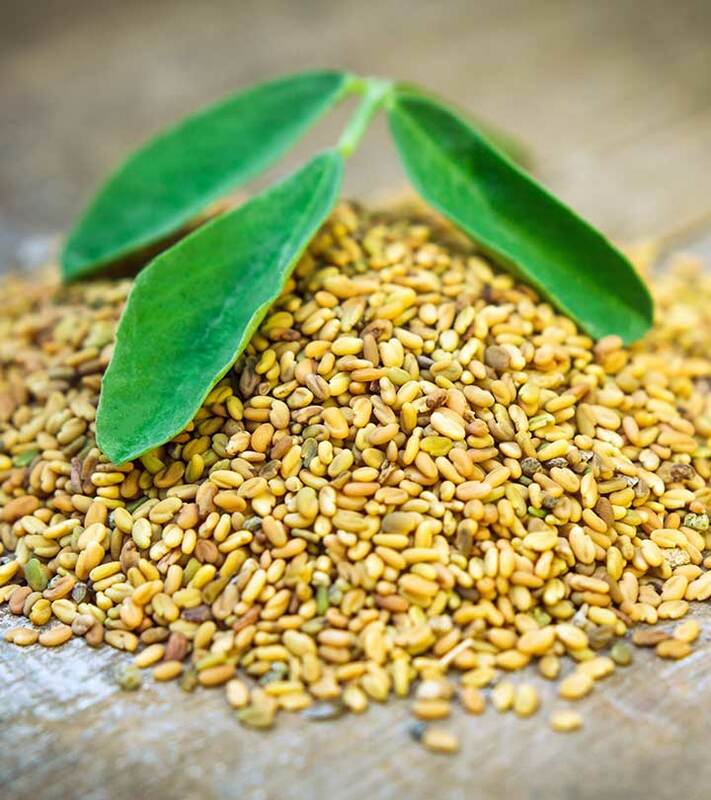 From adding flavor to dishes and controlling diabetes to inducing labor, fenugreek seeds have had diverse benefits for your skin, hair, and health. 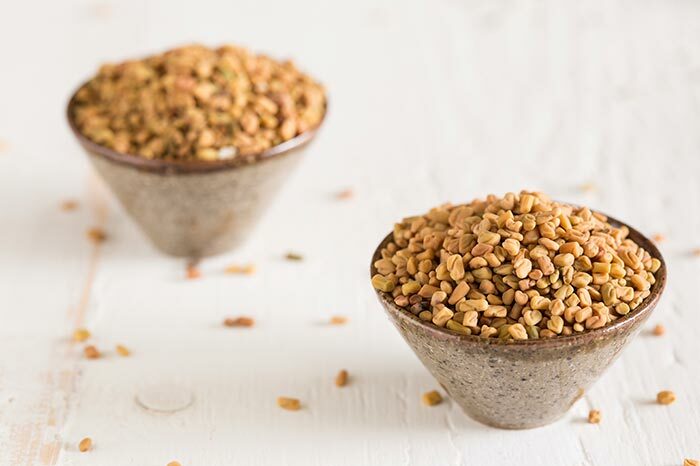 Fenugreek seeds can have surprising benefits for your skin, including eliminating the signs of aging like wrinkles and fine lines. Blend the fenugreek seeds and yogurt till a smooth paste is formed. Keep it on for 30 minutes and then rinse with cold water. Germinated fenugreek seeds show a significant amount of antioxidant activity and fight the free radicals that accelerate the process of aging (1). Yogurt has lactic acid that gently exfoliates your skin (2). It also leaves your skin feeling smoother and softer. Those who are suffering from acne can give fenugreek seeds a try because they are very effective in getting rid of acne. Add the fenugreek seeds to water and let it simmer for 15 minutes. Using a cotton wool, dab the water onto your face twice a day. Store the excess in the refrigerator. Fenugreek has a compound named diosgenin that has anti-inflammatory and antibacterial properties (3). 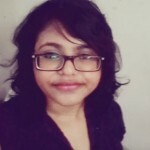 This helps fenugreek fight against acne. Mix fenugreek powder and water to make a smooth paste. Keep it on for half an hour. Rinse with water. 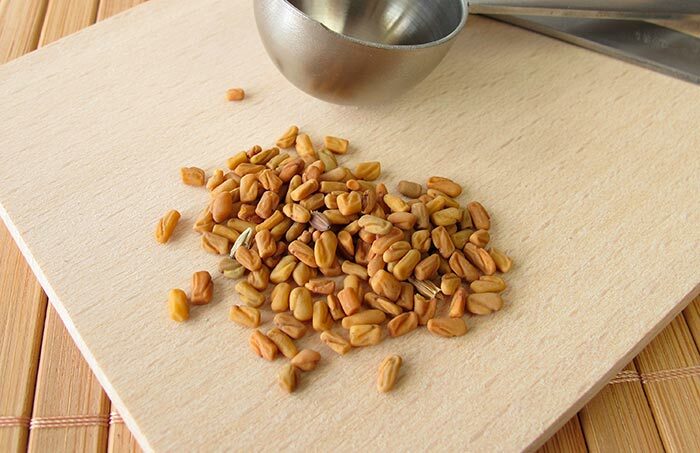 Fenugreek seeds prevent your skin from getting coarse or dry. The slippery texture moisturizes your skin (4). Fenugreek is extremely effective in strengthening the hair from the roots and treating follicular problems. Place the coconut oil and fenugreek seeds in a mason jar. Seal the jar and store it for three weeks in a cool place, away from direct sunlight. Strain the oil and use it for oil massages. 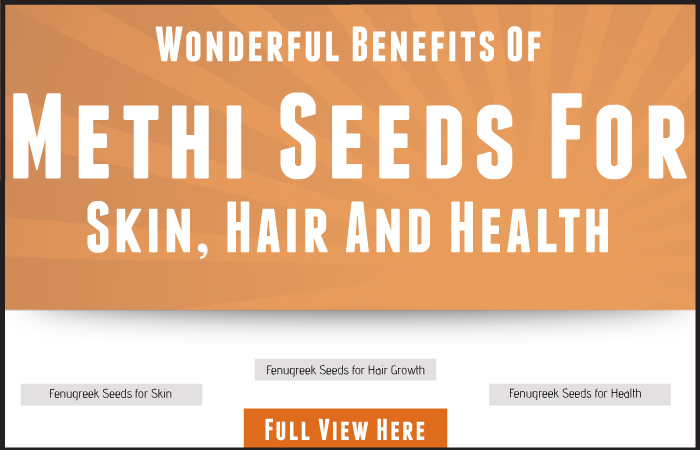 Fenugreek seeds have hormones that help promote hair growth (5). They are a good source of protein and nicotinic acid that strengthen the hair shaft and prevent breakage. To make your hair look shiny and glossy, try using a fenugreek hair mask. Soak the whole ground seeds in boiling water and leave them overnight. When the seeds turn slimy to touch, grind them into a paste. Apply the mixture on your scalp and roots, and then along the whole length of your hair. Keep it on for 30 minutes and wash it off. Fenugreek seeds contain lecithin, an emulsifying substance (6). When soaked in water, the seeds produce a slippery substance that imparts shine to your hair. Dandruff is a common hair ailment, and it generally surfaces during winter. There are various treatments and procedures to treat dandruff. One of the most basic and effective cures is using methi seeds. They are also an effective cure for dry scalp and dermatitis. Dandruff is usually caused by a dry scalp or fungal infection. Fenugreek helps remove dandruff (7). A part of folk medicine, fenugreek seeds have been used for a long time to prevent the graying of hair. Fenugreek seeds have properties that help hair retain its pigment (8). This helps delay graying. Diabetics are often recommended to include fenugreek seeds in their diet because of the positive effects they can have on their health. Studies conducted on the effect of fenugreek seeds on type 2 diabetes have produced favorable results (9). It was found that fenugreek seeds help control blood sugar and decrease insulin resistance. Fenugreek seeds display a significant effect on cardiovascular health. They protect the heart from serious damage during a heart attack. Heart attacks are a major cause of death, and they occur when an artery leading to the heart gets clogged. Fenugreek seeds prevent further damage to the heart and counteract the oxidative stress that occurs during a heart attack (10). Studies have shown that the oil extracted from fenugreek seeds can help fight against cancer. A study conducted to investigate the anticancer effects of fenugreek found that fenugreek oil fights against certain cancer cell lines (11). 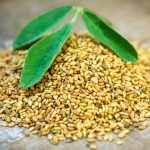 Studies have shown that fenugreek seeds can also help in reducing the pain of menstrual cramps as well as other symptoms associated with menstruation. Fenugreek seeds have anti-inflammatory and analgesic properties, which is why studies sought to investigate the effect they might have on the pain caused by menstruation (12). It was found that fenugreek seed powder substantially reduced the pain and symptoms such as fatigue, headache, and nausea. In Asia, fenugreek seeds have been used by women to increase their breast milk production. This herb contains phytoestrogen that boosts milk production in lactating mothers (13). Drinking fenugreek tea seems to increase the supply of breast milk in mothers, which promotes weight gain in the infants (14). Research has proven that fenugreek seeds help to lower the cholesterol level, especially the ‘bad’ cholesterol or LDL in our body. Fenugreek seeds have a flavonoid named naringenin that lowers the lipid levels in those with high cholesterol (15). Arthritis is a disorder that causes inflammation in one or more joints. This causes severe pain, and more than the regular wear and tear of the joint muscles. Fenugreek has anti-inflammatory and antioxidant properties that help reduce the pain caused by arthritis (16). For those suffering from stomach ailments, fenugreek can be a boon. It is an effective treatment for gastritis and indigestion. It helps prevent constipation as well as digestive problems created by stomach ulcers. This is because it is a natural digestive tonic, and its lubricating properties help soothe your stomach and intestines (17). If you are seeking to lose weight, adding fenugreek seeds to your diet is a must. Fenugreek seeds prevent the accumulation of fat and improve the metabolism of lipids and glucose that help in weight loss (18). Fenugreek seeds have polyphenolic flavonoids that improve kidney function and prevent the deterioration of cells by forming a membrane around them (19). Your liver cleanses your body of toxins. An injury to the liver can have a serious impact on your health. One of the main causes for decreased liver function is excessive alcohol intake, and studies have shown that fenugreek seeds are very effective in controlling the impact of alcohol on your liver. Fenugreek seeds protect the liver from alcohol toxicity (20). Excessive alcohol intake can cause chronic liver damage. The polyphenolic compounds present in fenugreek seeds reduce liver damage and help metabolize the alcohol. Fenugreek seeds are easily available in departmental stores and markets. They are available as seeds and in the powder form as well. Fenugreek seeds should always be stored in a cool, dark place in airtight glass containers. This keeps them fresh for longer, up to several months. Fenugreek seed powder should be stored in the refrigerator in an airtight packet. Fenugreek seeds should not be consumed by pregnant women because it can lead to early contractions (21). Consuming fenugreek seeds right before delivery can also cause a newborn baby to have an unusual body odor. Fenugreek seeds interact with certain oral medications, including anti-diabetic drugs and anticoagulants. If you are using these medications, it is better to consult your medical practitioner before including fenugreek seeds in your diet.